A custom website is absolutely critical in today’s world of marketing. If your site is not captivating at the very first glance, it can mean the difference between a prospect and a lost opportunity. 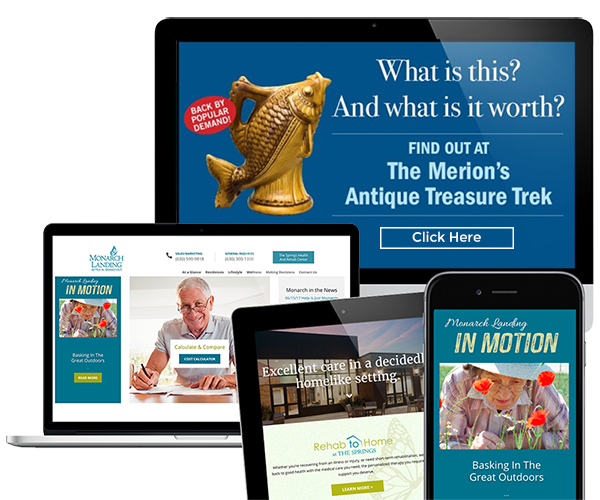 While the first impression is the most important, there is so much that goes into an outstanding website that isn’t seen, but has tremendous impact on your company’s success. In addition to creating compelling computer graphics and engaging content for your site, IVY leverages all the tools of the ever-expanding online marketing frontier – to your distinct advantage. All the stunning graphics and ease of navigation in the world won’t sustain a website without compelling content. IVY is truly unique in that we create content for our clients – not just curate it from other sources – based on their own individual stories, goals and distinct imprints on their industries. Our team goes deep…into personal interviews, event planning and attendance, face-to-face meetings and frequent conversations with clients, even friendships. We don’t stop at the beginning of their stories; we see them through until they’re fully told, or the next story emerges. And then we dive into that one. 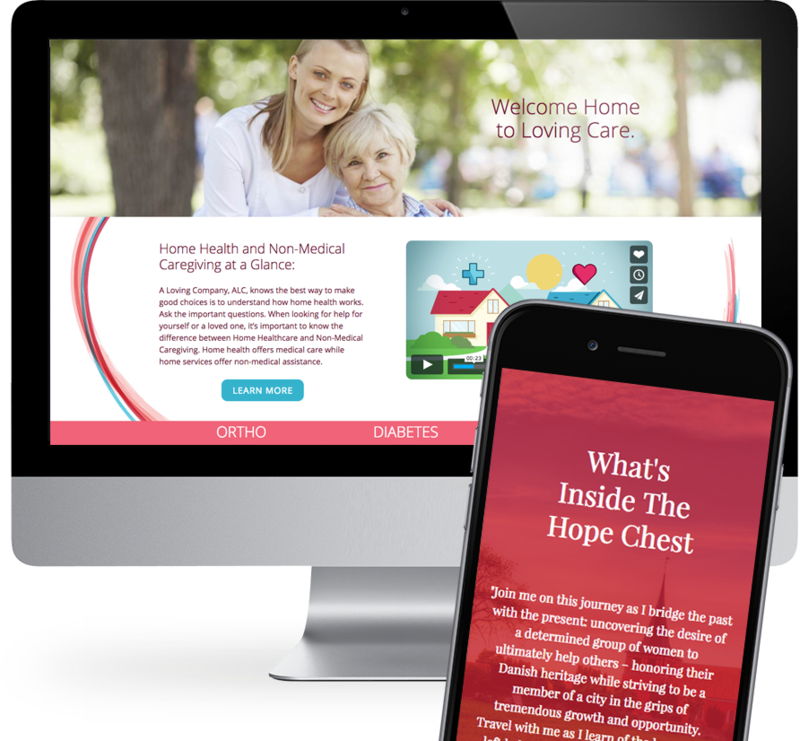 IVY’s curiosity and quest for new horizons opens us to custom website design across all client industries. We are eager to take on your next project! Whatever your customer’s device, whether desktop, mobile phone, laptop or tablet, IVY’s web design accounts for all of their online environments, all of the time. Our design protocol responds to screen size, platform, orientation and other electronic factors to ensure that your audience’s experience with your website is tailored specifically, and ideally, to them – wherever they are. Search engines rank web pages based on keywords, phrases and fresh content as well as other technically synergistic factors. The higher a search engine ranks your site, the more traffic it will receive. If SEO is a bit perplexing to you, no worries. With IVY’s web design expertise, original content development, and ability to structure your website optimally, all you have to do is watch your online prospects grow! The power of blog cannot be underestimated. A company blog provides your customers, prospects and casual browsers with information that will benefit them in some meaningful way, whether or not they engage in a purchase. Blogs build trust in your brand in a way that other marketing communications cannot. They don’t push a sale; rather, they foster connections that stay with consumers emotionally. Your company is indelibly associated with those impressions. IVY can create a blog for your website that will move your audience in truly significant ways. Drive traffic with ads strategically placed to reach the perfect demographic, geographic and psychographic consumer. If prospects have already visited your website, IVY can help you remind them with remarketing ads, earning you a better conversion rate. Keep subscribers and prospects in the loop and interested in your content, offers, and latest news with email marketing. It’s easy, inexpensive and effective. Let IVY show you all the benefits! IVY can help you leverage Google Analytics to monitor successful campaigns and content. With this data, you will better understand your visitors’ demographics and how prospects interact with your website. You’ll also be able to make informed decisions about how to promote your products or services.